Assessment Updates will be posted on this web-site to: 1) Assess “pre-review” cigars that were not given a rating or score (typically pre-release cigars); 2) Provide numeric ratings to cigars previously assessed prior to the implementation of the numeric scoring system; 3) Provide a re-assessment and re-score of a previously assessed/score cigars. Today, we assign numeric scores to two cigars from My Father Cigars.First up, we provide a numerical score to the Jaime Garcia Reserva Especial Limited Edition, a cigar we assessed in 2011. We then provide an assessment rating and score to the Flor de Las Antillas, a cigar we pre-reviewed back at the end of March. 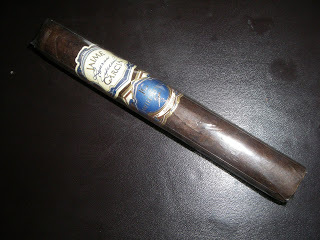 The Jaime Garcia Reserva Especial Limited Edition 2011 is a true classic by Cigar Coop standards. Last year, this cigar was our #4 cigar for 2011. The cigar was released shortly after the 2011 IPCPR trade show. There were originally 3700 boxes planned for production. They are packaged in boxes of 16, one of those 16 being the Jaime Garcia Reserva Especial Limited Edition Connecticut Shade – rumored to be the Jaime Garcia Limited Edition 2012. The Jaime Garcia Reserva Especial Limited Edition 2011 is an all Nicaraguan puro, highlighted by an incredible rich and sturdy Nicaraguan Broadleaf Viso wrapper. The flavor profile notes of sweet chocolate, cocoa, espresso syrup, cedar, and baker’s spice. I also detected flavors of raisin, licorice, and orange citrus. While some of the flavor notes might seem to be very “sweet” in nature, this is not the case with this cigar. The flavors are full-bodied, and are complemented by full strength nicotine. The cigar has an excellent draw. The only minor issue has been some inconsistent burns, but in general the burns are more of an inconvenience than a problem. Click here for the original assessment on the Jaime Garcia Reserva Especial Limited Edition 2011 (Maduro). overpower you, and while the flavors are not in the full-bodied range, they are still very effective. We recently re-assessed the robusto vitola that the original pre-review was done on. The Flor de las Antillas isn’t the most complex cigar in terms of flavor transitions, but it does deliver very good cigar flavors – namely: pepper, coffee, and natural tobacco flavors. The burn and draw have been consistently excellent. While the robusto vitola is what has been assessed here, it is worth noting the other vitolas provide very different smokes from each other – the sign of a very strong line. 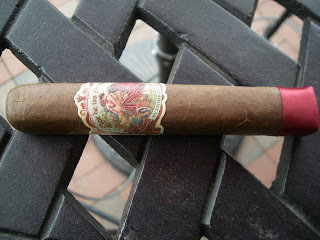 Click here for the original pre-review of the Flor de las Antillas.